Since July 2013, we have run our self-built campsite and are be proud to have already made many camper friends happy in a loving environment. Our small but fine campsite boasts clean and modern sanitary facilities. 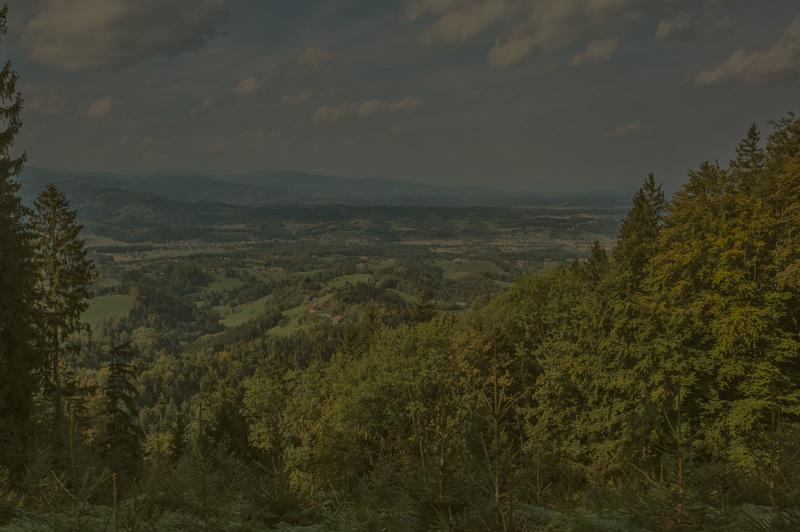 Of particular interest is the adjacent, heated water park as well as the many signposted hiking trails and the 40 cycle panoramic tours, some of which even lead to neighbouring Slovenia. There is a mix of magnificent landscapes, culture and culinary art, which open up all senses to the connoisseurs, in addition to the physical challenges. After a few minutes on foot or by bike is the charming market square, many Buschenschänke (wine taverns) and inns with many local specialities. As a special treat, every guest receives our Ölspur Camping bag as a welcoming gift. 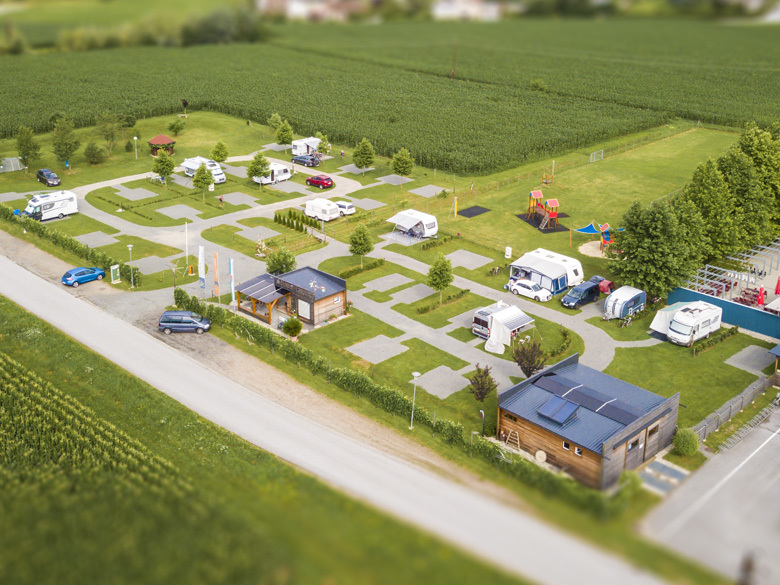 The campsite is around 6.000 square metres in size and offers 40 pitches for tents and caravans where each is around 100 square metres in size. After the end of season of the waterpark, the asphalted and partially paved part of the waterparks parking lot can be used for campers as well. 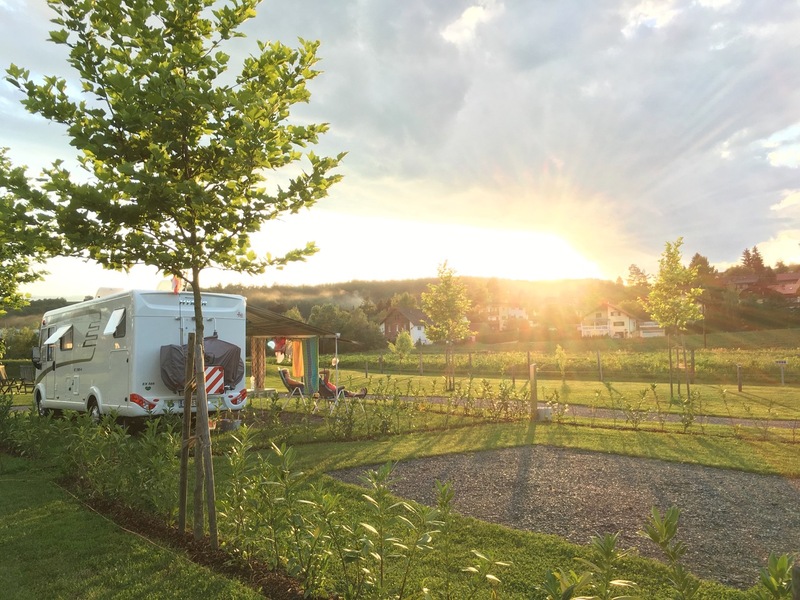 Escape your stressful everyday life and enjoy a few relaxing days on our campsite in Eibiswald. Mountain biking, hiking, archery and lots more. There is no sign of boredom in Eibiswald! 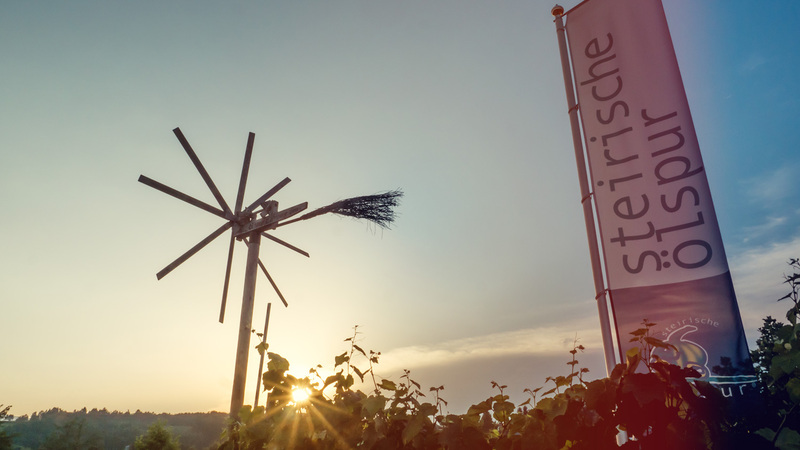 Cuisine, leisure facilities, accommodation and much more - discover the Eibiswald-Wies region. 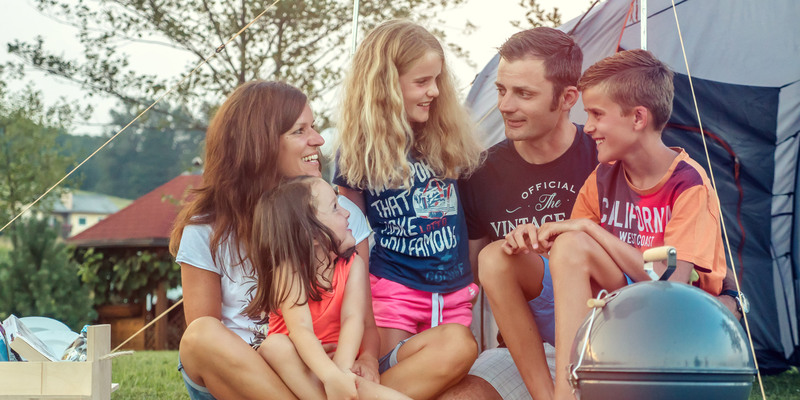 Dear Moser Family: In every detail we can see your camping experience, mixed with indescribable warmth of heart. This gives us guests a great sense of well-being. May this imaginative diligence always be successful. We came as guests and left after only 2 days as friends. All the best and keep it up. Best regards. Dear Family Moser, Unfortunately we could only spend 2 nights in September with you, but we will no doubt be back on our next tour of Styria. Everything was just perfect, please keep it up! 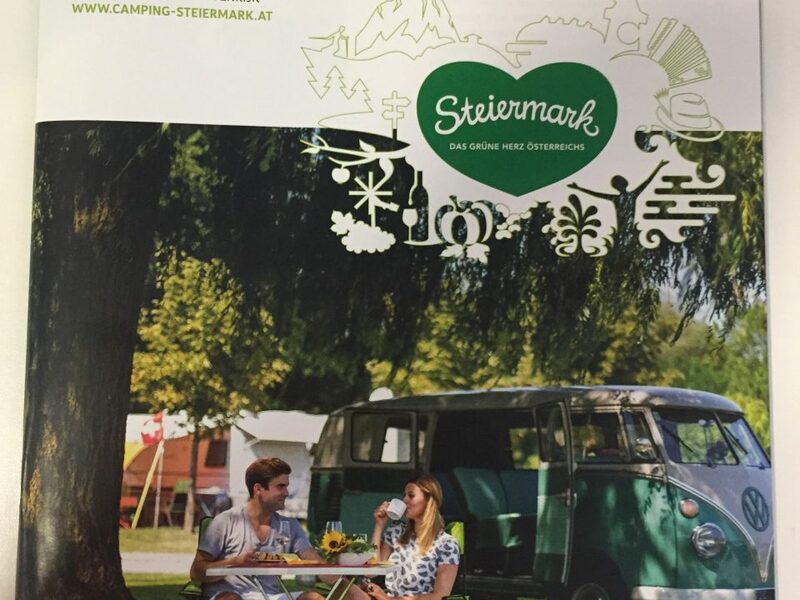 The Styrian Ölspur Camping is located in Eibiswald. 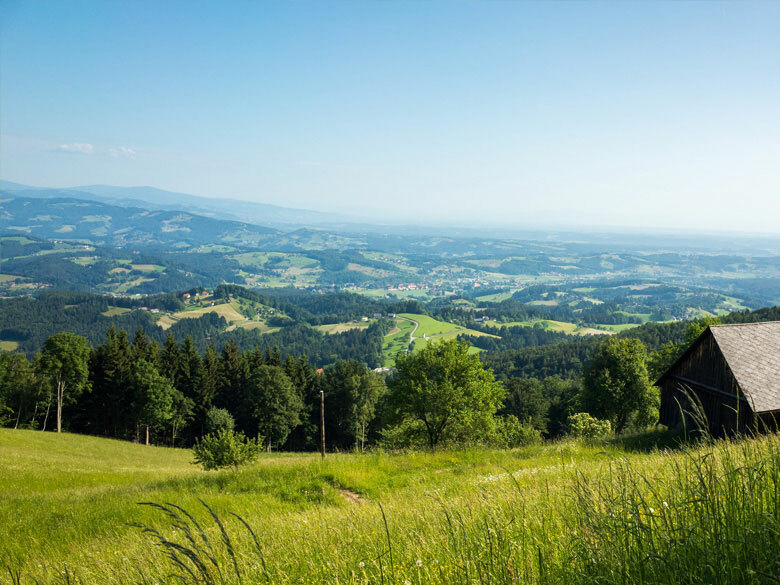 Eibiswald is located in the south of western Styria, a beautiful section in the green heart of Austria. 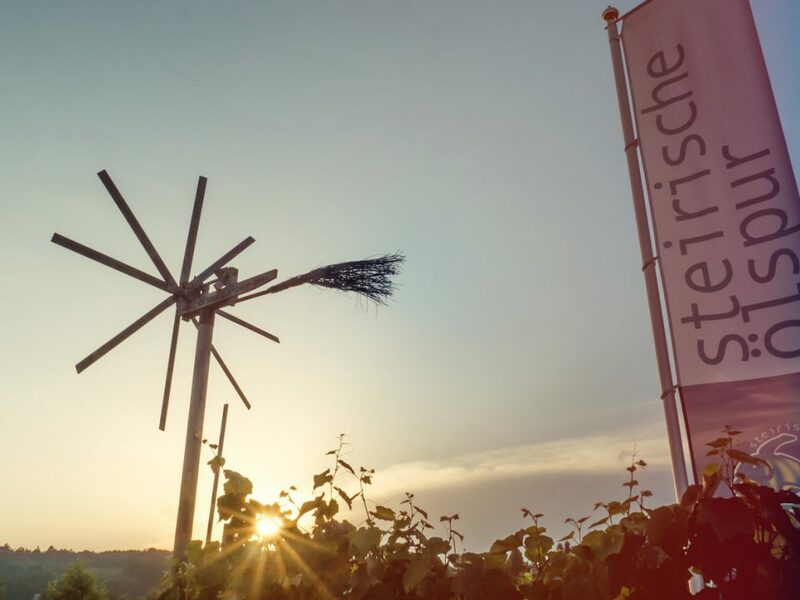 The location of the campsite is ideal as a starting point for biking, hiking, for cosy "Buschenschank" (wine tavern) visits and excursions to the Soboth reservoir, only a few kilometres away. Steirische Ölspur Camping is located in Eibiswald. 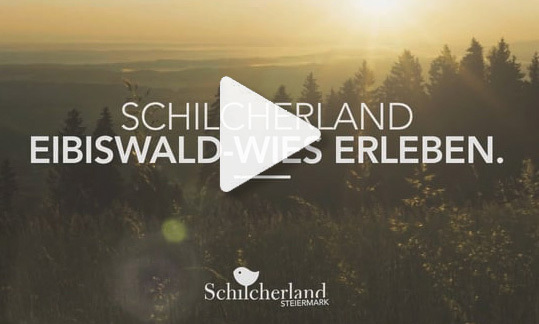 Eibiswald is located in southern Styria, a beautiful section in the green heart of Austria.